1. Courtesy for others, isn’t that enough right there? 7. Some people will say, “but I am going the speed limit”. 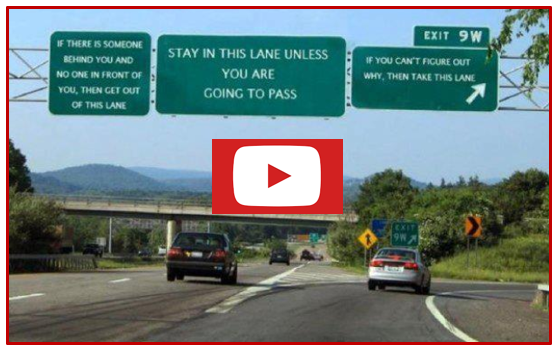 But, by obeying one law (speed limit) you are not granted the option of ignoring another (slow traffic keep right). Sorry, wrongs don’t make a right. 8. While the safest flow of traffic is when traffic is flowing at close to the same rate of speed, sometimes there may be motorist(s) who move more quickly. 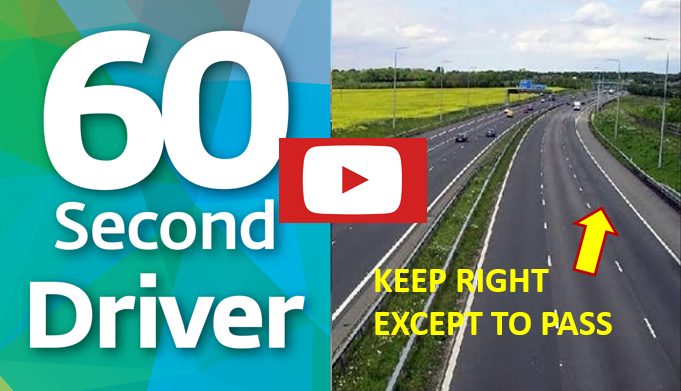 Bear in mind that we don’t know why that motorist is moving faster and it could be anything from rushing an injured child to hospital or an unstable person in a stolen vehicle who has nothing to lose. The safest place for those drivers is well ahead of you, and not bunched up close behind. So, simple… help them get by, move to the right… and you get to get on with your happy day! This is one of the most common complaints from drivers, especially those who use the highway a lot is that slower traffic doesn’t always stay in the right lane. Traffic flows much better on multi-lane roadways if slower traffic stays to the right. This isn’t a conversation about speed, it is about courtesy, more efficient traffic flow, the ability of roads to handle greater volumes of traffic and SAFETY. The applicable law applies equally in the city or the highway. The Highway traffic act makes no mention of applicability to different environments. Yes, the “HIGHWAY” traffic act applies to urban roadways too. This isn’t just a courtesy to the drivers behind you. 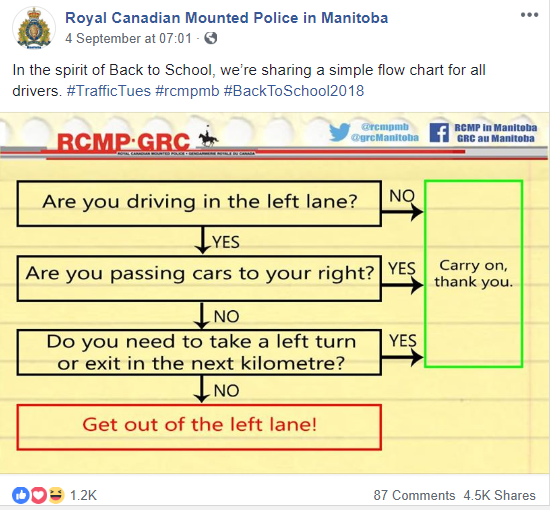 It shows up in the Highway Traffic Act, which says if you’re travelling under the speed limit and slower than the flow of any other traffic you must be in the right lane, unless you’re passing or you have an upcoming left turn. By driving under the speed limit in the left lane and not overtaking the traffic in the right lane, you are disrupting the traffic flow and frustrating the drivers behind you. And that creates a dangerous driving situation. It is not the job of motorists to enforce the speed limit for others… and, to use your vehicle as a weapon to stifle traffic flow, is simply road rage. Shoulder check when pulling out to pass and again before pulling back in to the right lane. Side mirrors are the best way to check for vehicles. Mirror setting tip: If you can see your own vehicle in your side mirrors, they are adjusted WRONG. Don’t pull back in too soon. When you see both headlights of the vehicle you just passed in your center rear-view mirror, it’s safe to move back into the right lane.